My kids, like I'm sure many others, really enjoy having an Advent Calendar to count down the days starting from the 1st of December until Christmas. Over the years we've had all sorts, from the super easy supermarket chocolate calendars, to a homecrafed calendar, with 24 hand-embroided numbers on teeny tiny Christmas stockings made by me. This year we've looked around for some quirky and cool Tech Age advent calendars. 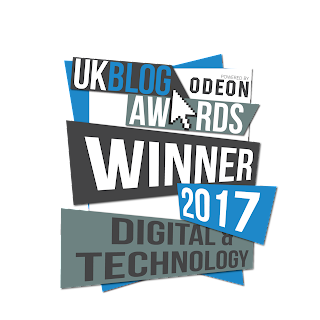 So if you want something a little techie, and not end up buying a chocolate calendar from the local supermarket on the 30th of November, take a look at our picks for Tech Age advent calendars and get organised early. This is probably the most geeky calendar we've found. If you have a 3D printer at home, then this one is for you. The Christmas Advent is completely 3D printed, with design files for every day leading up to Christmas. 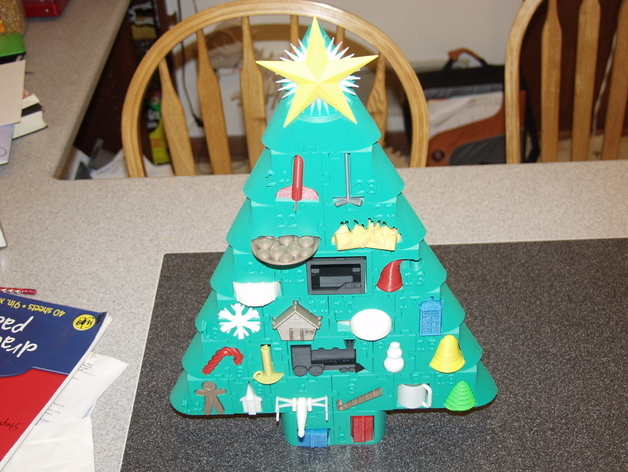 You 3D print and build the calendar and each puzzle piece includes a sweet ornament which fits into the puzzle. The files are available for free on Thingiverse, thanks to pleppik. The kids will definitely enjoy seeing the advent calendar come to life right in front of their eyes. What's more, you could use it again next year, but this time hide the ornaments for every day, to be added to the tree. This super cute Little Robot Advent by Next To Nicx is perfect for a maker family. Lovingly crafted, you can purchase the download for just $1, print at home and make with the kids. Fill the little boxes with chocolates and string it up somewhere as a Tech Age Christmas decoration. You'll need 12 sheets of 220gsm card, a craft knife and double sided tape to make this project. We recommend this advent calendars for families looking to do a papercraft activity together in preparation for Christmas. 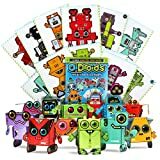 I discovered the Oidriods, cute papercraft robot characters, for my son's recent Robot birthday party. They come in packs of 12, so with 2 packs you can make your own DIY OiDroid Advent Calendar. Place one OiDriod pop-out sheet in an envelope, number the envelopes one to twenty-four and either string them up or hide them around the house for the kids to find. By Christmas you'll have 24 out of the 96 OiDroids available in the collection. These pre-cut and creased robots are great, require no cutting or sticking and perfect for developing fine motor skills. The collection also includes some rare and ultra-rare shiny robots, which will add to the suspense every morning leading up to Christmas. 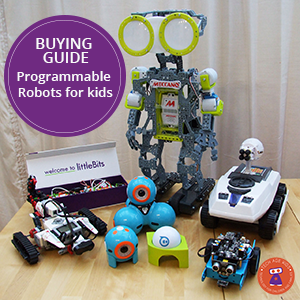 My kids love these little robots and a quick making activity before school in December beats a sugar rush any day. Off course, Star Wars is going to be BIG with the release of the new film in December (it already is). If you or our kids are Star Wars and Lego fans, you'll love the new Lego Star Wars Advent Calendar. It's definitely a more expensive Advent Calendar but you will get some pretty awesome Lego minifigures, and vehicles include Jabba's Sail Barge, Sand crawler, Star Destroyer, Millennium Falcon, AT-AT, A-wing Starfighter and a sleigh. It's recommended for 6 - 14 year olds, however my youngest who just turned 5, have been playing with small lego for years and would be perfectly excited about a Lego Star Wars Advent Calendar. Conrad Electronics have two great advent calendars for teens - Raspberry Pi Advent Calendar and Internet of Things Advent Calendar. Both calendars are designed by German company Conrad Electronics and offer exciting day-by-day experiments to learn about Raspberry Pi / Internet of Things. 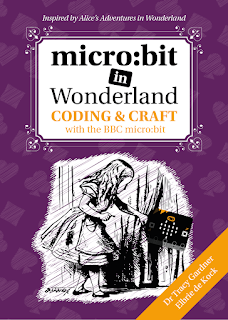 There is no soldering or experience required and we would recommend these calendars for a tween or teen interested in coding. The Raspberry Pi Calendar uses ScratchGPIO for a variety of surprise projects. The Internet of Things Calendar is compatiable with Arduino software. You'll be able to explore various aspects of the IoT theme by using simple examples starting from simply switching an LED on or off with a smartphone, the creation of a Web server or long-term monitoring of sensors. Conrad provides a handy information sheet (however the translated English may require some additional deciphering). You don't need to be an expert electronics engineer and although not recommended for younger kids, I'm sure they will have fun learning with a teen sibling / parent opening up this advent calendar. And finally we found something for the babies and toddlers. 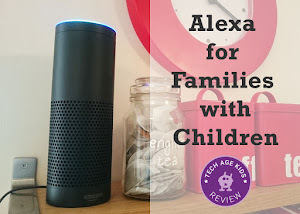 We are big fans of the VTech Toot-Toot range, (product review coming soon) as the offer great opportunity for learning, there is smart technology (SmartPoint) and they have longevity. Perfect for babies and toddlers and still loved by little kids and big kids alike. The advent calendar offers 24 play pieces including Christmas specific drivers and features. If you already have a Toot-Toot play set, the advent calendar will make a fantastic addon, as the Sleigh will respond to SmartPoint locations with different phrases. VTech Toot Toot playsets are topping the Christmas lists for this year, so you'll definitely be a cool parent with this cute advent calendar. Have you found another Tech Age advent calendar? Connect with us and tell us about it.